A Top 5 "Fantastic Fruit"
The Hawaii Papaya that could. The Hawaii Papaya delivers superior taste and unsurpassed health value. Numerous scientific studies tout the benefits of Hawaii papayas as a perfect part of a healthy lifestyle. They’re rich in vitamins A and C, high in potassium and fiber— and despite their lusciousness, they’re a fat-free, cholesterol-free treat you can enjoy guilt-free. Health and wellness experts backed by scientific studies tout papayas as a perfect part of a healthy lifestyle. 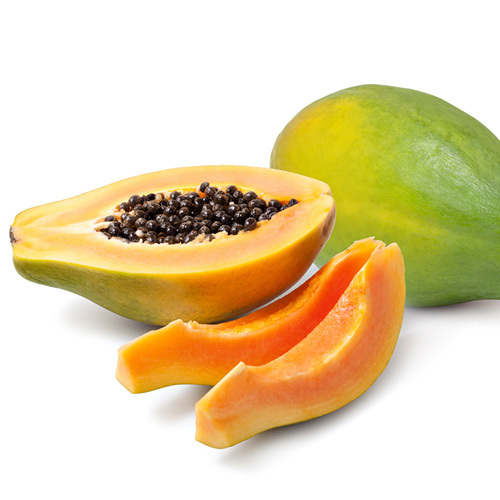 Papayas are rich in protein-digesting enzymes that aid digestion, such as papain and chymopapain. They are also low in fat and are a good source of fiber, which has been shown to lower high cholesterol levels. Papayas are an excellent source of three powerful antioxidants: Vitamins C and E and beta-carotene. These nutrients help prevent the oxidation of cholesterol that may damage the blood vessel walls and eventually cause heart attack or stroke. Vitamins C and A, which are produced in the body from beta-carotene, are both needed for the proper function of a healthy immune system. Other data indicates that eating 3 or more servings of fruit per day may lower risk of age-related macular degeneration, the primary cause of vision loss in older adults. Vitamin A-rich foods such as papaya can help smokers reduce chances for developing emphysema. In a scientific study, men who regularly ate lycopene-rich fruits such as papaya and drank green tea were less likely to have prostate cancer than those who consumed the least lycopene-rich foods. Hawaii papayas offer more than only a delicious tropical taste. They are rich sources of nutrients that together promote healthy living. Papayas are one of the healthiest fresh fruits. The nutritional scoreboard here was developed by the highly respected Center for Science in the Public Interest. In its “Top 5 Fantastic Fruits” ratings for fresh fruits, papaya was impressively ranked in the Top 5 with guava, watermelon, grapefruit and kiwifruit well ahead of traditionally thought of healthy fruits as orange, apple, and banana. The score for each fruit is gotten by adding up its percent of the Daily Value for six key nutrients: vitamin C, folate, potassium, iron, calcium, and fiber plus carotenoids. Papayas are rich in enzymes that stimulate stomach secretions and aid digestion. They contain protein-digesting enzymes including papain and chymopapain. Papayas are low in fat and are a good source of fiber. Papayas are an excellent source of Vitamins C and E and beta-carotene, three strong antioxidants. Papayas are also a very good source of calcium, potassium and Vitamins A and B. Based on 100 gram samples. 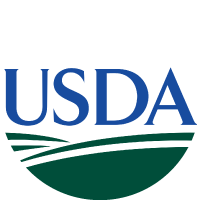 Source: USDA National Nutrition Database for Standard Reference (2007) and NutritionData.com. 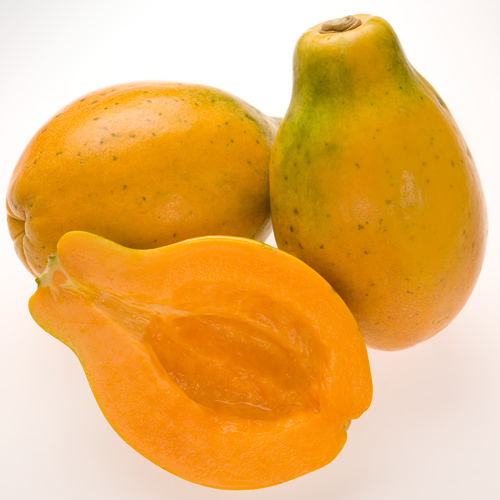 The pear-shaped, high-sugar Kapoho Solo* papaya has a greenish-yellow skin that turns yellow as the fruit ripens. The deep yellow flesh has a pleasant, peach-melon taste. *The name “Solo” originated from Puerto Rican laborers at the Hawaii Experiment Station who began calling the papaya “Solo,” which means “one” or “alone” in Spanish because it was small enough for one person to eat a whole fruit by him or herself. The name stuck. Grown on the Big Island of Hawaii, Rainbow is the principal variety grown in and shipped from the islands. This genetically engineered papaya is resistant to the ringspot virus disease. Its greenish-yellow skin turns yellow as the fruit ripens, and consumer testing has confirmed the extreme popularity of this golden yellow flesh variety. Popularly known by its nickname, “strawberry” papaya, Sunrise (or SunUp) has a freckled greenish-yellow skin that turns yellow as the fruit ripens. Inside, however, its flesh is a juicy, dramatic red-orange color. SunUp is a genetically engineered papaya that is resistant to the ringspot virus disease. Grown only on the island of Oahu, Kamiya is rounder and larger than the other varieties. It has a thin, greenish-yellow skin with thick orange flesh. Rather than the color of skin, the fruit is ripe when it yields to finger pressure. 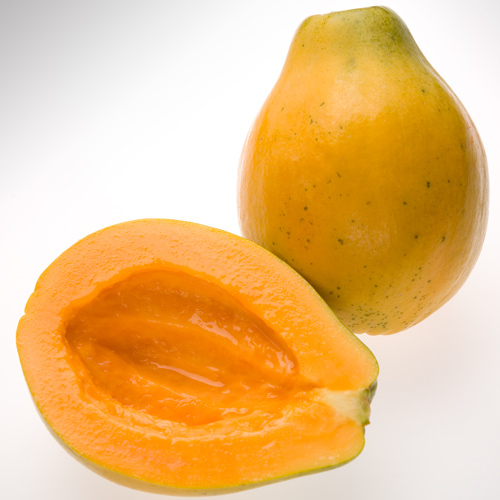 Laie Gold is a genetically engineered papaya of the Kamiya variety that is resistant to the ringspot virus disease. It is grown for local market only. The genetically engineered Rainbow Papaya saved the Hawaii papaya industry from near extinction in the 1990s. That’s when the deadly papaya ringspot virus, a plant virus, devastated papaya farms on Oahu and Hawaii Island. 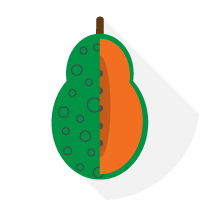 Cornell scientists joined with University of Hawaii researchers and figured out a way to use the genetic portion of the virus to “inoculate” papayas against the disease. This made the papaya resistant to the ringspot virus—similar to the way a vaccine makes people immune to H1N1 flu virus. Immunizing papayas in this way is safe and does not change its food characteristics. 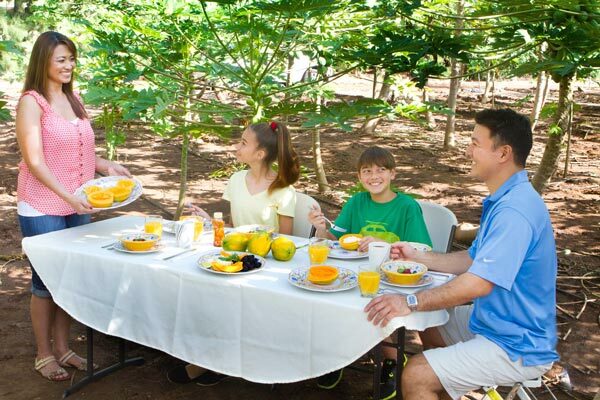 With unanimous approval by the U.S. government Papaya farmers across the state began planting Rainbow papaya in 1998 following stringent reviews for health and environmental safety and unanimous approval by the U.S. government. Without biotechnology, there would be very little—if any—papaya grown in Hawaii today. It allowed farmers to continue doing what they love to do—growing food that nourishes the people of Hawaii and the world. The Rainbow Papaya gave Hawaii’s papaya farmers a second chance and gave everyone a vitamin-rich superfood that compares to no other. Hawaii-grown Rainbow Papayas have been distributed across the U.S. since 1998, Canada since 2003, and most recently to Japan. For the past 15 years, consumers have enjoyed more than 260 million pounds of Rainbow Papaya in the U.S. and Canada, safely and happily. Sun-filled days and cool nights give Hawaii the perfect growing conditions to produce the finest of papayas. 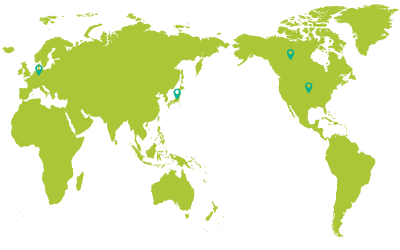 Rich volcanic soil, dedicated growers, and state-of-the-art packing and shipping operations ensure prime quality market arrivals across the U.S., Canada, Japan and Germany. Hawaii papayas are available year-round, with peak supply from mid-April through June and again in mid-October through mid-December. 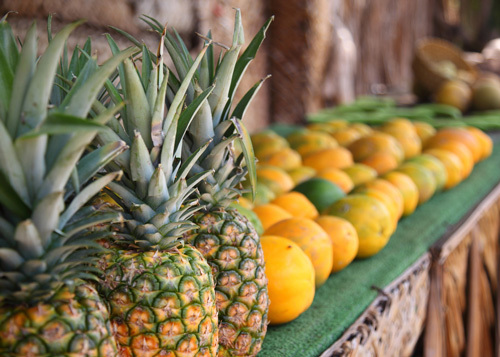 Surround papayas with pineapples, bananas, mangoes, and coconuts in a tropical fruit display. Offer fruit in various stages of ripeness, so shoppers can buy for immediate use and still have some for later. Conduct in-store demonstrations to introduce or remind shoppers of the delectable taste of a papaya from Hawaii. Ask your shipper for our full-color POP material to call attention to your papaya section, and to remind shoppers that papayas are exceptionally nutritious. Place a cut papaya in the center of the display to show new customers what a papaya look like inside. Handle with care and stack no more than two high avoid bruising. Rotate stock forward to reduce shrinkage. Keep papayas out of the sun to prevent accelerating the ripening process. Place papayas in a refrigerated display area between 50 and 55°F (10-12.8°C) to maintain a shelf life of 5-7 days. Never cool less than half-ripe papayas below 45°F (7.2°C), as this permanently stops the ripening process. 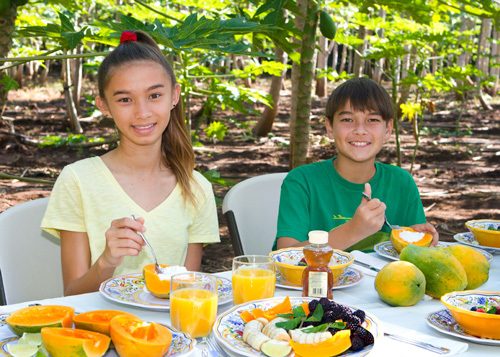 The Hawaii Papaya Industry Association (HPIA) envisions making delicious, nutritious, high-quality, Hawaii-grown papayas available to consumers around the world. 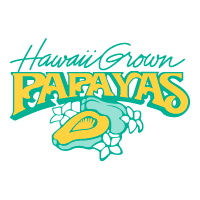 The HPIA strives to improve business conditions for the papaya industry in Hawaii, including those related to the cultivation, distribution, sales and use of papayas. The HPIA is committed to developing and improving the papaya industry through research, education and cooperation on a non-partisan basis. 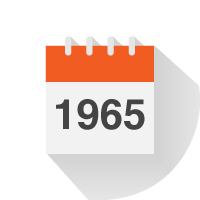 The first formal meeting of papaya producers in Hawaii was held on November 13, 1965, in the city of Hilo, Hawaii. Approximately 150 producers; handlers; wholesalers; shippers; University of Hawaii and government officials met at the old Hilo Hotel. This was the inception of the Hawaii Papaya Industry Association, marking a milestone in the development of the papaya industry in Hawaii. Organizers hoped to establish an organization of the papaya industry and not a marketing cooperative. Marketing, however, became one of the most serious problems of the papaya industry. Being subject to anti-trust laws came into discussions and led to consider the idea of becoming a Marketing Order. The papaya industry became a Federal Marketing Order, an entity of the United States Department of Agriculture. 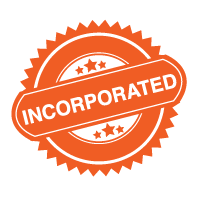 The HPIA was officially incorporated in the state of Hawaii as a non-profit organization to complement the Marketing Order and pursue its vision. With the unprecedented economic losses in papaya production due to the devastating papaya ringspot virus (PRSV), the development of the transgenic Rainbow was the focus of activity for the papaya industry. 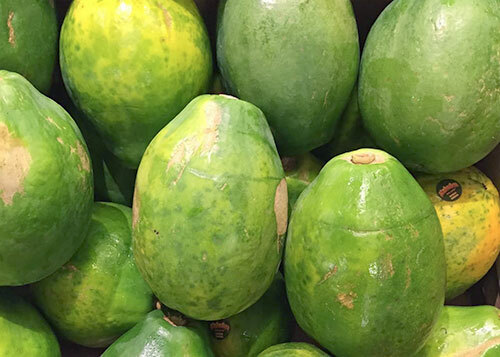 The Hawaii Papaya Industry Association exists to continue to promote the improvement of business conditions in the State of Hawaii for the papaya industry. A: Yes. Papayas are one of the most nutritious fruits available. Papayas are rich in enzymes that help with digestion and are a good source of calcium, potassium and Vitamins A, E and C. A single 200g serving provides almost twice the recommended daily allowance of Vitamin C. Go to Nutrition for more information. Q: Where can I get Hawaii grown papayas? A: Hawaii grown papayas are distributed across the U.S., Canada, Japan, and Germany. 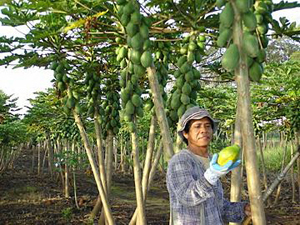 Today papayas can be found all year long with the peak season being early summer and fall. Q: What does the Hawaii papaya look like? A: There are two basic types of papayas, the Hawaii papaya varieties and the Mexican variety. The Hawaii varieties are more pear-shaped, weigh about one pound each, and have a yellow skin when ripe. The flesh is golden yellow or red-orange, depending on the variety. The Mexican variety is much larger (weigh up to 20 pounds and be more than 15 inches long) with flesh that is reddish, and the flavor is less intense than the Hawaii types. Q: How do I select a papaya? A: Look for papayas that are partly or completely yellow in color depending on the variety, that give slightly to pressure, but are not soft at the stem-end. Avoid papayas that are bruised, shriveled, or have soft areas. Papayas that are hard and green are immature and will not ripen properly. Uncut papayas have no smell. Papayas that are cut should smell sweet, not bad or fermented. Go to Selecting & Storing for more information. Q: How do I store the papaya before eating it? A: Slightly green papayas will ripen quickly at room temperature, especially if placed in a paper bag. As the papaya ripens, it will turn from green to yellow. 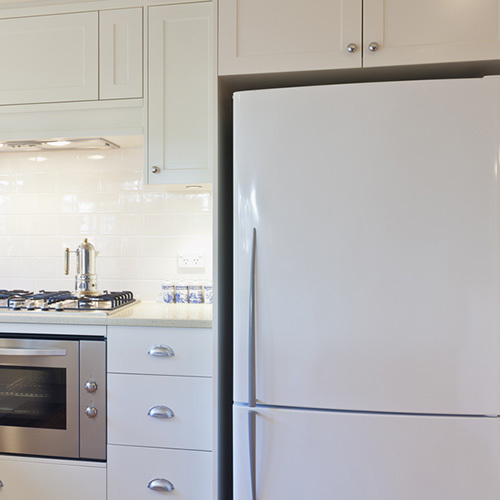 Place ripe papayas in a plastic bag and store in the refrigerator. Papayas will keep for up to a week, but it is best to eat them within a day or two. Go to Selecting & Storing for more information. Q: How do I eat the papaya? A: Papayas are usually eaten fresh as is or with a squeeze of fresh lime juice. After washing the papaya, cut it lengthwise, scoop out the seeds and then eat it with a spoon. They can also be made into a hot and spicy salsa; blended with fat free milk, yogurt, or orange juice into a nutritious breakfast smoothie; pureed into a delicious salad dressing or sauce, mixed with other fruits for colorful fruit salad, or used as the base for ice cream or sorbet. Go to How to Eat and Recipes for other great ideas. Q: What is Rainbow papaya? A: Rainbow papaya is an F-1 hybrid variety of papaya produced by crossing Hawaii’s standard yellow-flesh export variety, Kapoho Solo with the red-flesh SunUp, the first genetically engineered papaya with resistance to papaya ringspot virus. Read why we are proud to grow GMO papayas. A: GMO refers to a plant that has been genetically modified in order to impart certain desired qualities in a process that is like being vaccinated for diseases such as measles or polio. Dr. Maureen Fitch of the USDA, ARS, performed the original modification of papaya on the red variety called Sunrise. Pieces of the ringspot virus have been genetically inserted into the genetic makeup of the papaya to render it immune to that virus. The resulting papaya became known as the “SunUp.” Subsequent crosses with the “Kapoho” resulted in the “Rainbow,” a modified cultivar resistant to the papaya ringspot virus that is the most prevalent fruit on the market today. We would love to hear from you. Call or write to us at the information given below or send us an e-mail using this form. HPIA does not collect personally identifiable information from individuals unless they provide it to us voluntarily and knowingly. We do not require our visitors to register or provide information prior to viewing our website. 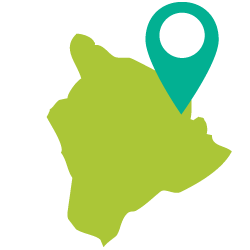 If you contact us through our website, we use the information you supply for the purpose of providing the services you requested, such as answering a question or providing information on Hawaii grown papaya availability. 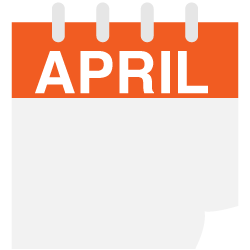 If you have contacted us by e-mail and asked to be placed on our contact list, we may contact you from time to time. You can always request to have your name removed from our contact list by e-mailing us at any time. HPIA does not share information provided by our visitors with parties outside of our association. We do not sell or distribute our visitor list. HPIA does not accept unsolicited ideas and submissions for products, packaging, marketing, advertising, research, or business operations. Should you ignore this policy and submit an idea, you agree that the idea becomes and remains the sole and exclusive property of HPIA without further compensation.